Hello friends! 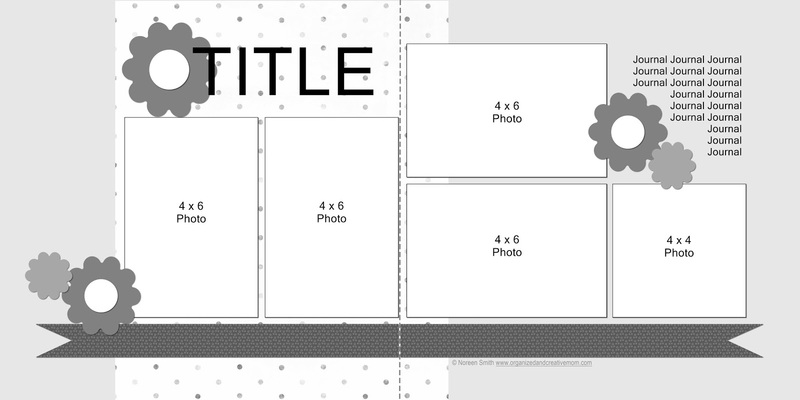 Huge apologies for the delay in getting this month's 1-2-3 Layout and Video posted. March was a write-off for our family in terms of health - we were all ill, and I relapsed with that darn Strep Throat that knocked me out back in February. But I'm on my feet just in time to post the March layout before the month ends! 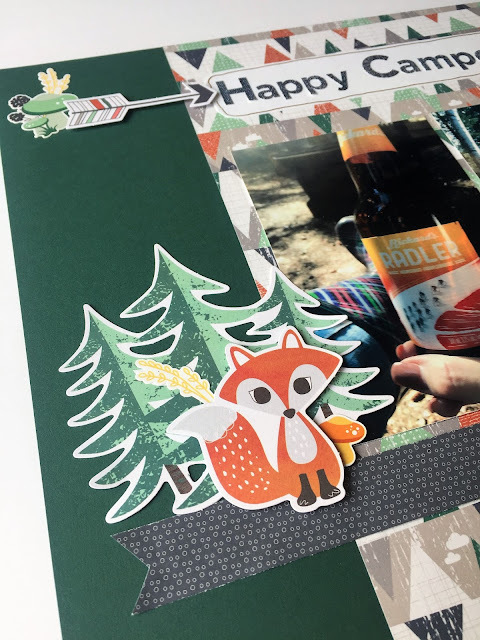 This month I'm using the adorable new Woodland Whimsy Collection from Creative Memories! 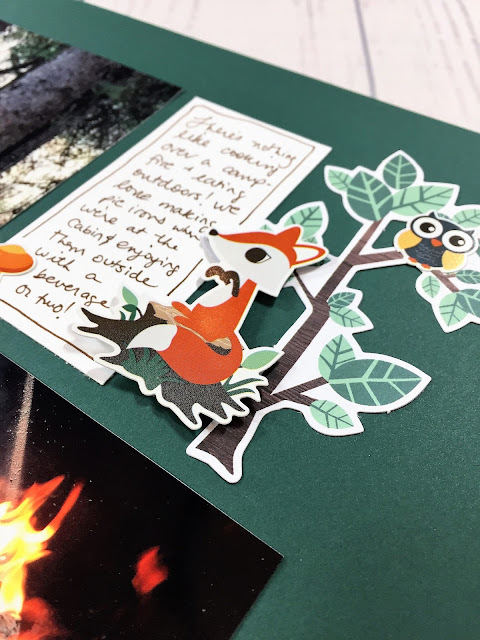 I am officially in LOVE with the paper designs and the all the sweet woodland critters! There are actually two versions of the collection - one for baby boys and one for baby girls - but the whole thing works beautifully together with two Paper Packs, two sets of Stickers, two Slide-in Packs, a fun Embellishment Pack and two gorgeous foiled Albums with or without Fast2Fab Refill Pages. Even though it officially was designed as a baby collection, the papers have no "baby-ish" designs and they will work beautifully for so many different themes and projects. I'm using one piece of the Woodland Whimsy Baby Boy paper that features a stylized mountain pattern on one side and a navy mini-dot on the other to go with some photos taken outdoors in the woods behind our cabin. Grab a beverage and sit back to see how fast this wonderful whimsical woodland layout comes together! Isn't that fox absolutely adorable?! Sooooo cute! 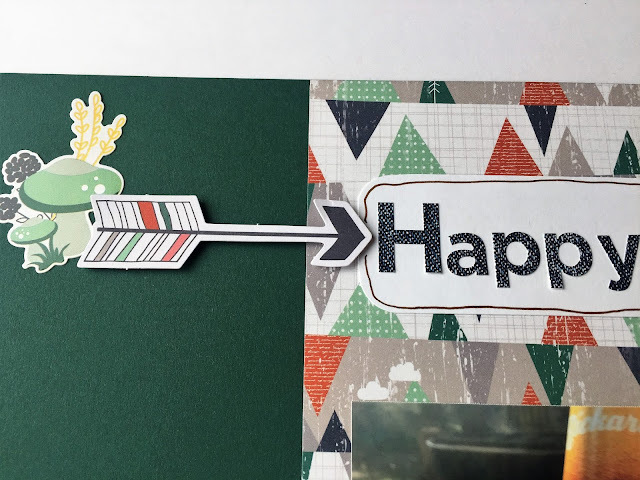 ***And don't forget to leave a comment on this month's 1-2-3 Card Post by March 31st for your chance to win the card kit! Good luck! Really cute, Noreen! I love this one! So glad to have discovered your 1-2-3 Layout! Quick and easy and looks great!! Thanks! Glad you're enjoying them Jeanette! Thanks! As a new scrapbooker, I'm really enjoying these new ideas to try out in my free time. Keep it up!